A BRAND NEW Pink & Silver Bling Pen decorated in Acrylic Stones. 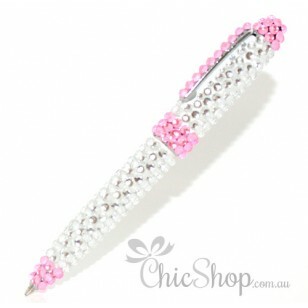 This item will be shipped from Melbourne, Australia and you will receive within 2-4 Business Days* after ordering. *Please visit Auspost website and their 'Delivery Times' section to find out estimated delivery dates to your area.